Find Your Net Frequently Asked Questions about health spas and beauty salons and more. Everybody might get lost every now and then. We strive to leave no stone unturned. If you have any questions send them to us and not only would we answer it - if we deem it to be in the interest of others, we will add the question to the list below. Here are some of the questions that could come up regarding health spas and beauty salons and our website. If you have any other questions you need answering, you can contact us at any time and we will be glad to help you out. What if I already have a website?? 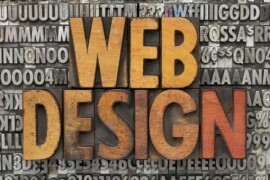 If you already have a website and are completely satisfied with its capabilities, you may want to leave it as it is. If you register with Find Your Net, you will gain a fully operational profile and you can still pick a template that will work with a sub-domain under the main domain of Find Your Net that is associated with your type of business. In other words, if you have a hair salon website at www.johndoesalon.com, and you want to maintain it, you can have a secondary website at johndoe@findhealthspa.com hosted by us. If you want, we can also provide you with special code for embedding of your profile into your own website as an iframe. What this means is that you can create a new page at www.johndoesalon.com, and add your own profile from findhealthspa.com on the website itself. Of course if you're double guessing your own website, you can always switch and host your website with us. You can simply stop your recurring payment and our system will be updated with your cancellation request - however we'd always love to hear the reason why you are leaving, so that we can improve our performance. Simply send us an email and tell us your username and the reason for leaving. We thank you for your business!